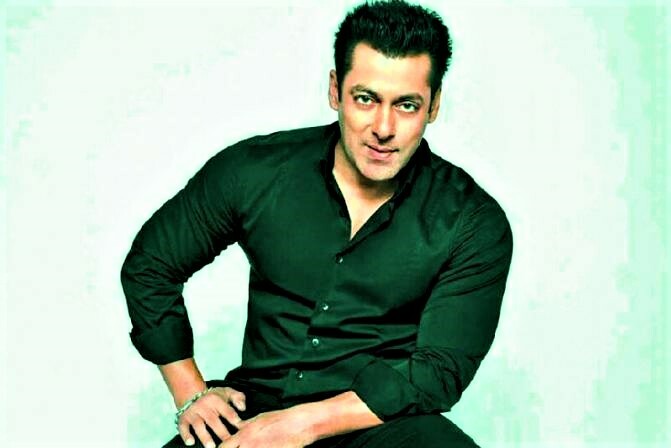 Salman Khan is an Indian Film Actor, Produces, Singer and T.V Host. He also runs a Non Profit Organisation named Being Human. He was received many awards in his acting career. Salman khan born in Indore on 27 December 1965, and the Salman’s full name which was given by his parents is Abdul Rashid Salim Salman Khan. He was born on a pathan’s family and his father Salim Khan was a well known writer. Salman is the eldest son of his family, after him 2 brothers and 2 sisters also there. Salman did his studies in ST. Stanislaus High School. From his childhood he was very passionate about acting that’s why he mostly taking part in functions which are organised by School. After this he moved to Scindia School and completed his schooling. Then for further studies he joined ST. Xavier College but his focus was not in studies but in acting, that’s why he left his studies and went to learn acting. After learning acting Salman decided that, “he will work in Film Industry”. So he went near many Directors and given many auditions, But he faces only rejections. Salman keep trying, after 2 and half years of struggle his hard work paid off. In 1988 he get chance in movie BIWI HO TOH AISI, his role was not big enough in movie but that changed the entire life of Salman. When Sooraj Barjatya watched this movie, he was very much impressed by Salman’s acting. That is why he signed him in his next movie Maine Pyar Kiya as a Hero(lead role). This movie released in 1989 and Salman get huge response from the audience and movie went superhit. After this, every film of Salman was going super hit like Saajan, Kurbaan. After that, his hit film continued to run, and in 1994, he decided to work with Sooraj Barjatya again in movie HUM AAPKE HAIN KOUN. With this movie Salman become a well known star in Bollywood. Then the movies like Karan Arjun, Jeet and Judwa proved that Salman could do different types roles. But at the same time he was accused of killing a buck, this incident makes very bad impact in his image. But he didn’t give up. Even then, he continued to work with the same diligence. And again in between year 1998-2000 he gives many super hit movies like HUM DIL DE CHUKE SANAM, CHORI CHORI CHUPKE CHUPKE and many more. His character was getting better in front of the people, then another incident happens. In 2002, he was accused of driving on the footpath people. Because of which people started losing believing on Salman Khan, and the directors started casting other actors in place of Salman Khan. It was his worst time, yet Salman got the chance to prove himself and he get back to industry with the movie TERE NAAM. Then Salman made his way to comedy and did blockbuster movies like MUJHSE SHADI KAROGI, NO ENTRY. Then in 2007’s PARTNER movie he reached to the next height in comedy. In this year he was also worked in a Hollywood Movie which name is MARIEGOLD. Then he moved to TV Shows and started his show 10 Ka Dum which was become the best TV sow of the year. This time Salman’s Saari movie was going to hit. And in 2009, WANTED movie turned Salman into a superstar all over the world. Since then, Salman’s every movie made a new record till today. It includes many movies like Dabang, Bodyguard etc. People started saying Salman gives us EIDI through movie every year because he releases his every movie in Eid Occasion. Then he was the part of many Blockbuster movies like EK THA TIGER, KICK, DABANG 2, BAJRANGI BHAIJAN, SULTAN, TUBELIGHT, TIGER ZINDA HAI, RACE 3. In counting Race 3 this was his 13th movie which was made more than 100cr business in BOX OFFICE which was a honor for him. Age 52 Years. (As in 2018). College He attended St.Xavier’s College in Mumbai and dropped out. Hobbies Workout, Travelling, Painting & Swimming. Favorite Actor Bollywood: Dilip Kumar, Govinda. Salary Per Ad: ₹3-5 Crores(INR). Per Film: ₹50 – 60 Crores(INR). As Host Per Episode: ₹10-12 Crore (INR). Net Worth USD: $400 Million. Bike Collection Suzuki Hayabusa , Suzuki GSX, Limited Edition Suzuki Intruder, Yamaha R1, Royal Enfield. House House 1: Galaxy Apartments, BJ Road Band Stand, Bandra West, Mumbai. House 2: 150-acre Farmhouse in Panvel, Maharashtra. House 3: A Villa In Dubai. Somy Ali (actress) Born: March 25, 1976. Age: 42 Years. (As in 2018). Aishwarya Rai (actress) Born: November 1, 1973. Age: 45 Years. (As in 2018). Katrina Kaif(actress) Born: July 16, 1983. Age: 35 Years. (As in 2018). Rumored Born: July 24, 1980. Age: 38 Years. (As in 2018). Debut Film Biwi Ho To Aisi (1988). Production House Salman Khan Films (SKF). SKBH Productions (Salman Khan Being Human Productions). Other 1. Salman also has a 5% stake in Yatra which is a travel related business company. 2. Salman has multiple properties in India, Dubai, and other countries.